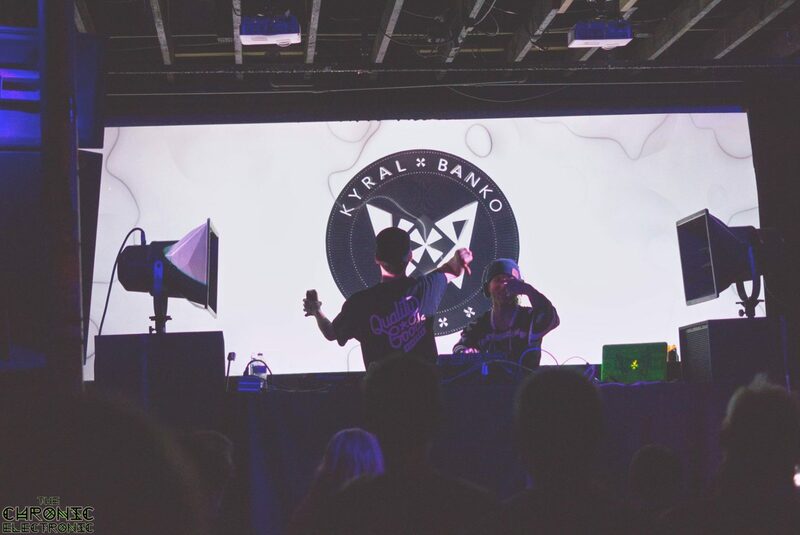 The naughty duo of Kyral x Banko has been dominating the bass scene across the front range over the past year pretty heavily. They are apart of the Quality Good Fam, (Record label from UZ) but also have collaborated with Angry Neighbor and MorFlo with epic releases and live performances! They play a nice variety of heavy trap beats, dubby sounds, and extraordinary sound production, with the occasional live rapping from one of them (Jeff.) In the studio they have collaborated with G-Rex, SoDown, and a couple other of artists. They may be sitting on a quite a handful of unreleased music which just makes their live performances oh so much more interesting. Their trap beats are brilliantly designed and combine the best of slowed down 808 hits along with nasty sound design that, together comes to be one of the most exhilarating genres of dance music out there. Check out some of the filth below and make sure to follow their Facebook & Soundcloud for releases and news! This entry was posted in Artist Profile, Music Reviews, Previews & more, Upcoming Artists and tagged Dubstep, EDM, Heavy, Kyral x Banko, Trap. Bookmark the permalink.